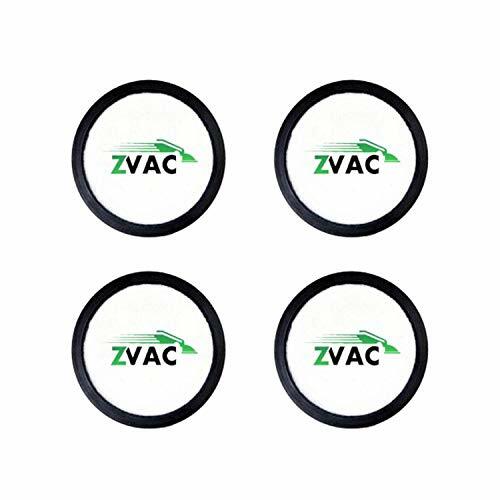 ZVac 4 Dyson DC17 Filter Generic Part Replaces Part Numbers F974, 911236-01, 974 Fits: All-Floors, Multi-Floor, Red, Animal Dyson. This is a 4 package of premium generic replacement Filter by ZVac. This replaces the original OEM Dyson DC17 Filter & replaces part numbers F974, 911236-01, 974. Premium generic Filter fits these series of Dyson vacuums: Dyson All-Floors, Multi-Floor, Red, Animal Dyson & other vacuums using DC17 Filter. Fits these models: Dyson All-Floors, Multi-Floor, Red, Dyson Animal. This is a premium generic product made by ZVac. This is not an OEM product and is not covered under any manufacturer's warranty. ZVac is not affiliated with the manufacturer. If you have any questions about this product by ZVac, contact us by completing and submitting the form below. If you are looking for a specif part number, please include it with your message.